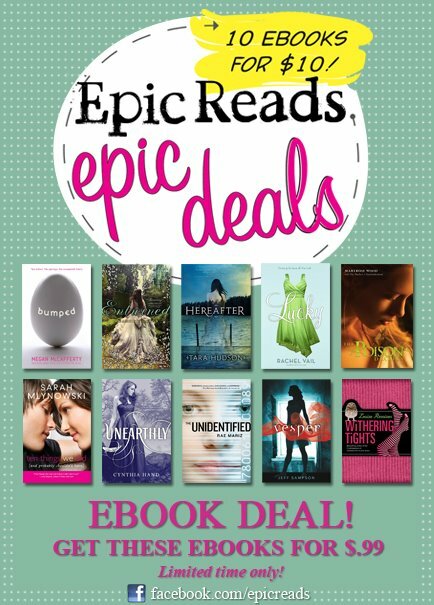 Epic Reads is having an amazing deal 10 of their YA e-books are on sale all for 99 cents! I bought Entwined, Bumped, and The Poison Diaries for my nook and I can already say it is the best $3 bucks I've spent all year. And although I don't have a review for it I highly recommend Unearthly by Cynthia Hand it is a fun angel story with an interesting twist! The sequel Hallowed comes out January 17th and I could not be more excited! Thanks for posting! I love when ebooks are cheap! Found your blog through my YA Book Club!! I also ended up buying vesper...I hope it is good!